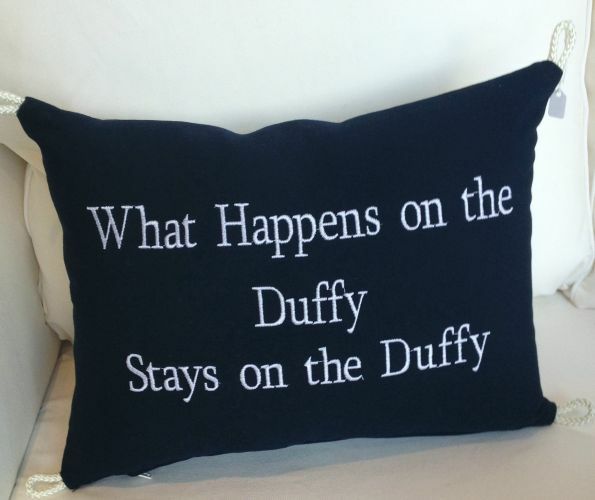 An oblong indoor/outdoor Duffy Pillow. 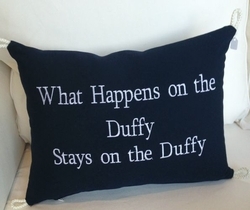 Navy blue Sunbrella fabric with white stitching "what happens on the Duffy Stays on the Duffy." Measures approximately 12x16. Comes complete with insert and zipper for easy care and cleaning. A great outdoor Boat Pillow. Need a larger size just let us know or want something custom we'll be happy to accomodate you.